( May 2nd, 2016) German Chancellor Angela Merkel supports maintaining steady dialogue with Vladimir Putin’s Russia even as Berlin considers deploying several hundred German troops to Lithuania as part of a NAT0 force of some 1,000 troops there meant to discourage aggression by Russia, which has been stepping up its shows of military force in the Baltic. “We must always be prepared to allow for dialogue. I think that is very important. She said that Germany seeks to strengthen the security of all of NATO’s eastern member states,” Mrs. Merkel said on April 29 in a joint press conference in Berlin with visiting Latvian Prime Minister Maris Kucinskis, highlighting a stronger German involvement within NATO in Eastern Europe. 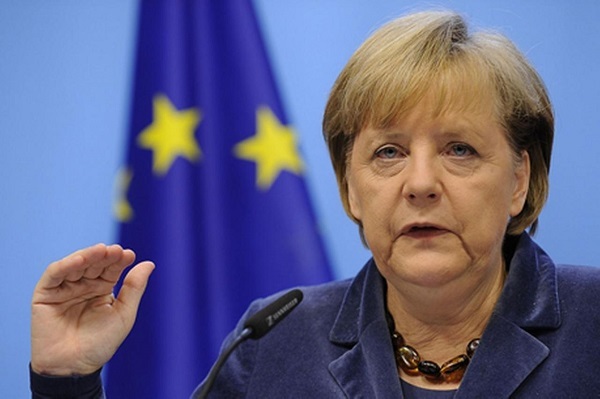 The German government, she added, wants a resumption of dialogue within the NATO-Russia Council. In mid-April, the NATO-Russia Council met for the first time in two years to discuss the Ukraine crisis.